Many things can be owned. These things may have been purchased, given as gifts or passed along from one generation of a family to another. 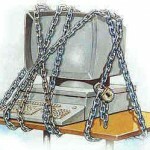 Information security has been getting an increased amount of attention lately. This term refers to protecting information systems and the data they contain from use, damage and disclosure by unauthorized people. Other terms you might see used for this behavior are digital security, computer security and information assurance. All of these fields have the common goal of protecting information availability, confidentiality and integrity. Since many bodies have amassed a lot of confidential information about products, employees, research, customers and other subjects, information security is important. Institutions as variable as private business, government bodies, corporations and the military all need to make use of this important means of protection. Much of this important information is now stored, collected and processed on computers. It’s also transmitted across networks, putting it in jeopardy more often. If financial information about the finances or customers of a business falls into a competitor’s hands or those of a criminal, a lot of damage could be done. Law suits, lost business, and even bankruptcy could be a result of failed informational security. That’s because protecting the confidential information of clients and others is a legal, ethical and business requirement. 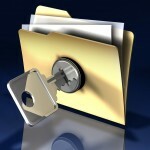 Information security can have a big effect on personal privacy, too.